Stop procrastinating and start doing something right. Before the New Year comes, make a plan of what you want to do in the coming year. If you have gotten off 2017 with less sleep, try to think of your health and well-being first by catching up on lost sleep while you still have time to do just that. Think of sleep as an important restorative process that benefits you in more ways than you can imagine. It is not just to feel refreshed and revitalized and ready to take on the challenges of the new day but there are countless things that happen in your body on a micro level that spells the difference between living a long and quality life than struggling to get through each day. There are countless technologies available right now that you can try to help you manage your sleep issues. Well, they may very well be the same thing that keeps you up all night, too preoccupied with all those apps that keep you entertained until the wee hours of the morning. What you can do is to set realistic sleep goals that will let you enjoy the best of both worlds. Of course, you can no longer avoid using technology since it is all around you, so you have to set limits to not compromise your health while enjoying what modern life has to offer. Don’t cry out yet in frustration because it is possible as long as you are determined to see it through. Don’t compare your sleep to others. The amount of sleep someone needs really varies, and we need to think about our individual needs when it comes to getting a good night’s rest. In the evening we naturally start to relax and feel sleepy, whether it’s in front of the TV or elsewhere. We then realise it’s time for bed and rush to prepare. This adrenaline stimulates our bodies and makes it harder to drop off. You should lose this race to bed and instead do all the necessary bed – preparation before you sit down to relax for the evening. Get your PJs on and teeth brushed before chilling out. Avoid screens, dim the lights and let yourself chill out. Once you feel sleepy, just take yourself straight to bed. Sometimes, we have a hard time making that change because these habits are so well ingrained in our core that it is impossible to do things otherwise. But if you do not take the first step, you’ll stay exactly the same way you are. If your problem is sleep, then sleep. It may sound that simple but there are stumbling blocks along the way that you must overcome to get all the snooze your body needs and not just sleep whenever you want to. You are not a robot, so whenever possible should follow your natural circadian rhythm so you no longer have to stress over sleep each night. It may be hard to work around work but a short nap of 20-30 minutes can help improve mood, alertness and performance, especially in the early afternoon when blood sugar levels are low. Here’s to better sleep in 2018! Whenever you need one and whenever the situation allows, take naps. It can save your sanity or even your life. As long as you nap for only a short period of time, you won’t have a problem drifting off the sleep during bedtime. Of course, only take a nap early in the afternoon when your energy is low. Getting that much-needed sleep can easily transform how your day progresses and even affect employee productivity. The number of hours of sleep you need depends on you and what your body asks for. You can tell when you have slept enough or not, so always listen to your body and respond accordingly. It is not yet too late to do that this new year. If you are suffering from a more serious condition like a sleep disorder, it is also high time that you get yourself checked. Don’t let it linger any longer. Sleep apnea, for instance, is a dangerous condition that can kill you in your sleep. Save yourself from such a fate by sleeping with a CPAP or a handy alternative like an anti-snoring mouthpiece. CPAP is the best choice but not everyone likes it. Here’s why https://snoringmouthpiecereview.org/why-a-cpap-machine-is-probably-not-for-you. 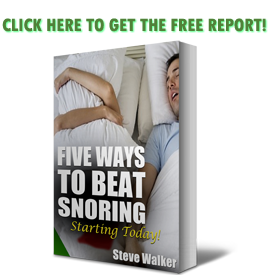 There is still hope, though, https://snoringmouthpiecereview.org/zquiet can be your second choice and you can safely enjoy the rest of the year and the coming year without worries about not being healthy enough simply by getting the sleep you need for optimal health.